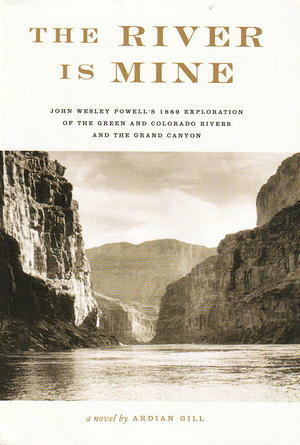 Ardian Gill's novel tells the story of John Wesley Powell's 1869 exploration of the Green and Colorado Rivers and the Grand Canyon. It is the adventure of ten men shooting rapids and painstakingly carrying and lining heavy wooden boats through cascades, cataracts and waterfalls. The action is breathtaking and invigorating, the story straight forward and clearly told. Written as a fictional expansion of the actual diary of one member of the expedition, the action is always front and center, but enriched by the interplay among the men, who include journalists, farmers, trappers, and Civil War veterans. Most intriguing, perhaps, is the narrator's changing view of the head of the expedition – the brilliant, narrow-visioned, intrepid, one-armed Major Powell. Read this novel for the adventure, for the character studies, and for the satisfaction of how ordinary men can uplift us by their determination and physical courage. "Superbly crafted, vividly told...powerfully presented and emotionally involving."